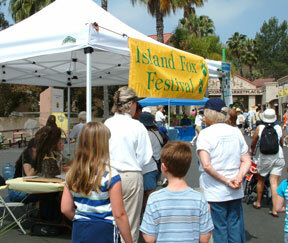 Friends of the Island Fox will be helping the L.A. Zoo celebrate the island fox at this day-long event. All activities are included in general admission to the Zoo. Educators and Group leaders: FIF representatives will have information on how you can have Friends of the Island Fox come and give a FREE presentation at your school or community group. 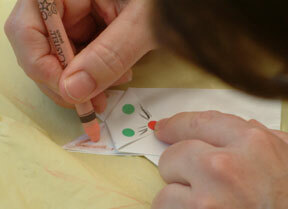 We are also looking for enthusiastic schools and groups to participate in our Fox Ambassador Program. 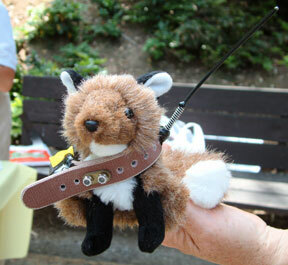 Why is this toy island fox wearing an actual island fox radio collar? Island foxes need radio collars before they are returned to the wild. Click here for more on Radio Collars and how you can help. As of 6 PM Friday May 11 the wildfire on Catalina Island appears to be 35% contained. The current situation is an unfortunate example of the delicate nature of island habitats. 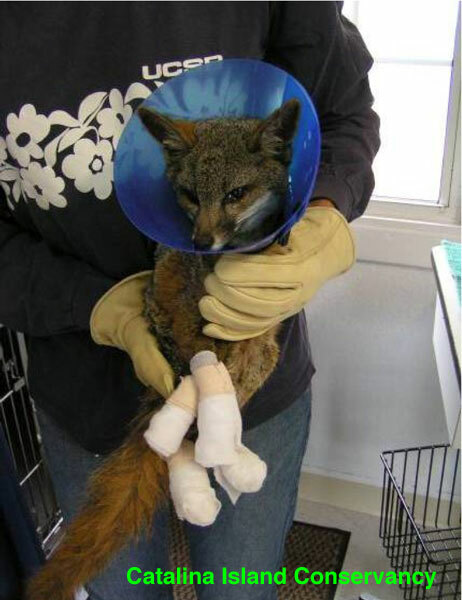 Currently the effect of the fire on wild island foxes is unknown. Radio collars on individual foxes will be vital in locating individual animals and determining if any have been overwhelmed by the wildfire. This is another situation that highlights the importance of radio collars on the endangered island foxes on San Miguel, Santa Rosa, Santa Cruz and Santa Catalina Islands. Island foxes are currently having their pups on the islands. This new generation will soon need radio collars. You can help make sure all endangered island foxes have radio collars. 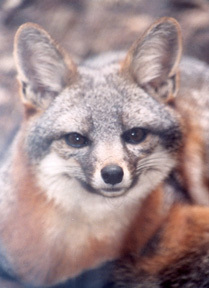 More on the Catalina island foxes. Bald eagles stake out territory for themselves and help to keep out golden eagles which prey on unsuspecting island foxes. This spring has been filled with wonderful successes for nesting bald eagles on the Channel Islands. You can watch the bald eagle chicks grow up via NestCam as part of the Catalina Island Bald Eagle Restoration Project conducted by the Institute for Wildlife Studies. Hear the Latest Bald Eagle News from Dr. Peter Sharpe, Institute for Wildlife Studies when he talks on “Bald Eagle Restoration on the Channel Islands” at Channel Island National Park Wednesday May 9 at 7:00 PM. Each Channel Island is a delicate ecosystem. Restoring habitat and supporting a healthy bald eagle population is vital to saving the endangered island fox. Island foxes are presently having their pups out on the islands. Stay tuned for Updates from the Fox Conference in June and come support Friends of the Island Fox at the Los Angeles Zoo & Botanical Gardens’ Fox Festival Saturday May 19th.